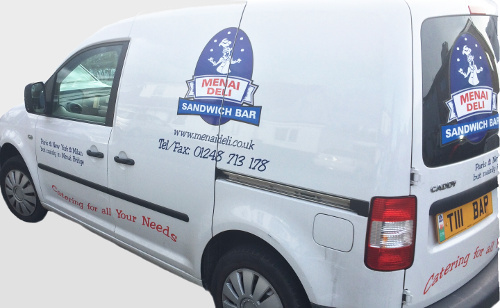 Menai Deli Sandwich Bar is a family run business and we have been serving food to locals and visitors for over 20 years and we have now become the leading sandwich shop in Menai Bridge, Anglesey, North Wales. Freshly made, all of our products are guaranteed to please as we offer such a wide variety of choices. We only use the freshest local ingredients available; the emphasis always being on fresh food every day and fabulous coffee. It is vital to us that our customers are satisfied whether it is for breakfast, lunch or a private function. Online orders for pick up can be made at ANY time; with last pick up being 2.30pm. Delivery only on orders over £15* and within five miles of the shop. (e.g. Menai Bridge, Bangor, Parc Menai, Llanfair PG, Beaumaris). Please place orders before 11 am the same day so they can be made ready for delivery, last delivery being 12.00pm. 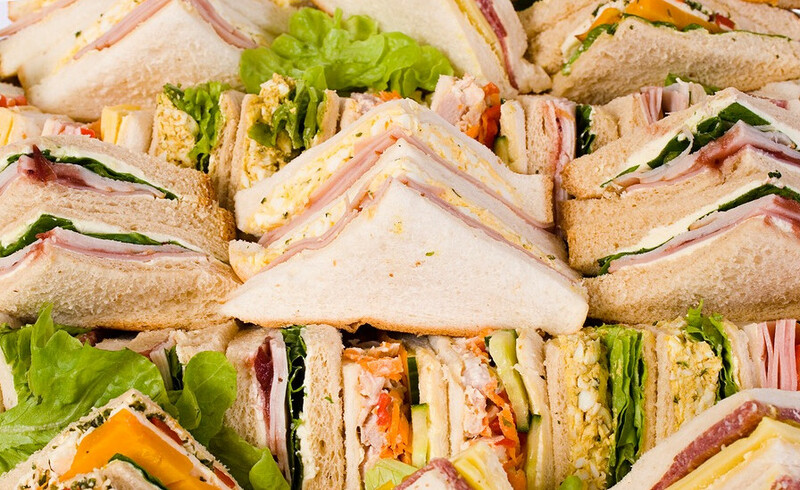 On line buffet orders need to be placed at least 3 days before the function. For further information on Food Hygiene Ratings..
Ewch i food.gov.uk/ratings i ganfod sgôr hylendid bwyd wrth ein busnes neu gofynnwch inni beth yw ein sgôr hylendid bwyd wrth archebu.